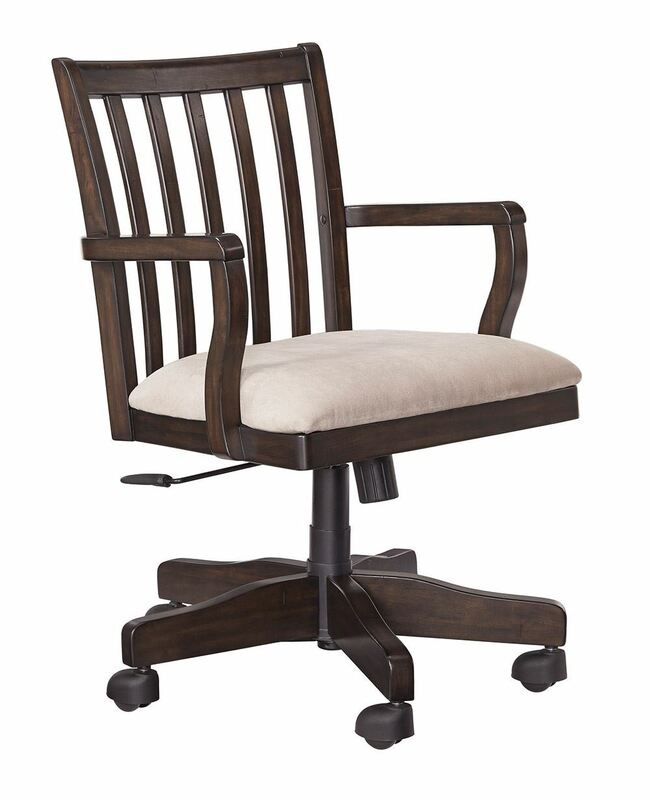 Inspired by American classic style, the Townser Office Chair is a timeless look perfect for your home office. Finished in a deep brown with gray undertones, the solid pine construction and thoughtful details speak to its traditional style. This modern twist on a banker's chair has a generously padded seat and a 360 degree swivel. 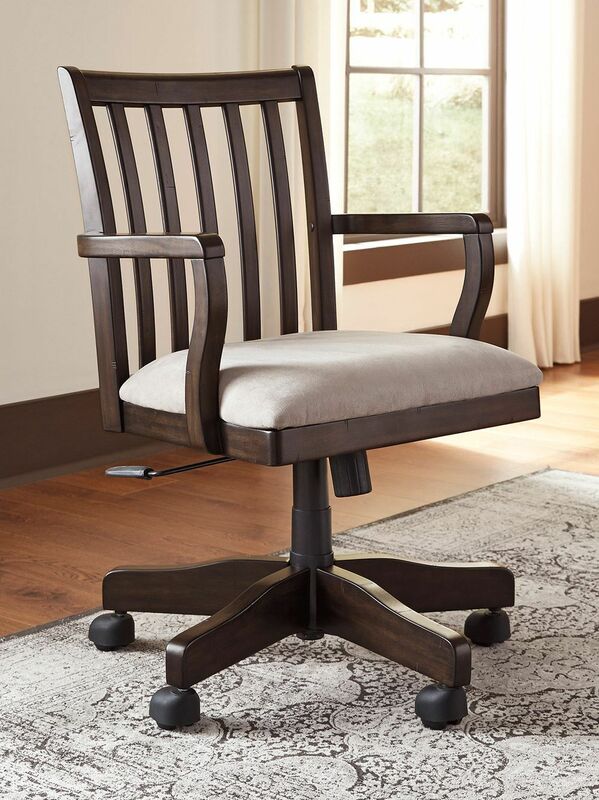 Inspired by American classic style, the Townser Office Chair is a timeless look perfect for your home office.